That's pretty funny, Mac! She's also getting toilet water all over that beautiful dress. Poor thing! She'll be there forever!! And the levitating toddler, Tanit, is wild, Cher! Well here is something interesting... 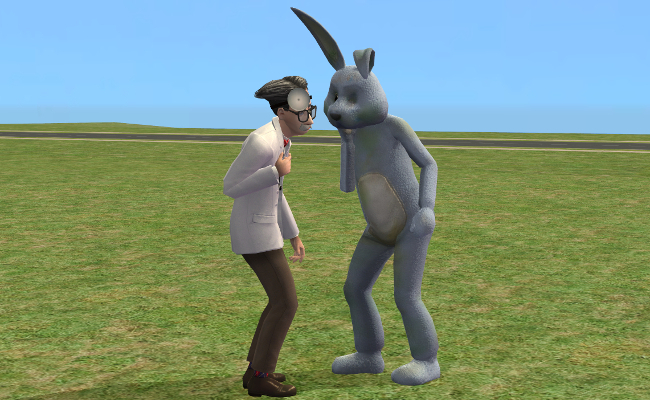 It appears if a sim suffers from both low social and low aspiration at the same time that it will spawn both the therapist and social bunny. 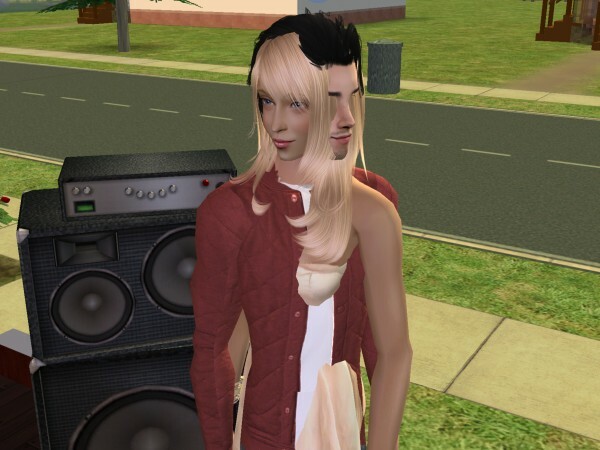 Now that in of it's self is not unusual, But if they are both on the lot at the same time they will gossip to one anther about the sim that suffered from both low social and low aspiration. Which You can see below. That's hilarious! Kind of sad for the poor Sim who needs help, though. BTW, the woman is a townie - a grown up Sharla, daughter of townies Peter and Samantha Ottomas. I gave her different hair but very few changes otherwise. I'll have to check, I think they probably are! Subject: Re: Strange Game Occurrences ... You are now entering the Twilight Zone.